In this Occasional Paper Brendan Donnelly, former MEP and Director of the Federal Trust, argues that the triggering of Article 50 will not be the of the end of the Brexit story. Mrs May is likely to face over the next two years growing obstacles in her path of extricating the UK from the European Union. 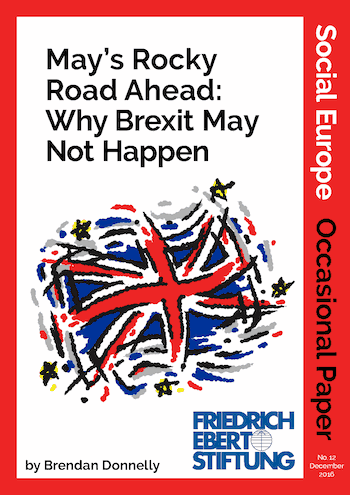 There is a chance that these obstacles could be so numerous and so severe as to prevent Brexit from happening altogether.